We help make your English - Russian translation projects a success with a carefully selected team of native translators. You can be sure that the message you want to convey to your clients will be accurate. It is important, if not essential, for all translations to be proofread by a second translator specializing in the field, because even the most experienced translator can make mistakes; after all, we are all human. The review by a second translator gives it a different slant, and this usually involves small but important changes. Want to translate a website, a tourist brochure, a company presentation, a video game or a general text from English - Russian? We are the translation company you are looking for. At Cosmolingo you can be sure that if we are unable to meet a deadline for an assignment, we will reject the order before starting work. We only undertake to do what we know we can. 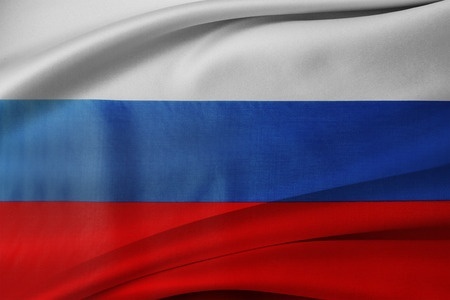 Since the economic and political opening following the disintegration of the Soviet Union, the Russian Federation has become one of the most influential superpowers in the world. Russia possesses the largest natural, forestry and energy resources in the world (including one quarter of the non-frozen water) and is showing signs of more than promising economic growth. This should not surprise us considering that we a referring to the largest country in the world, occupying more than one ninth of the world’s land surface. Like China, it borders on 14 countries, in two continents (Europe and Asia), which, added to the influence it holds over the countries of the former Soviet Union, particularly in the Community of Independent States, places it in an advantageous strategic position. For this reason, it is part of the G8 and various international organizations of great importance, and is one of the permanent members of the United Nations Security Council, where Russian is also one of the six official languages. Russia has a population of over 140 million (it is the ninth most populous country in the world), classified in over 150 ethnic groups and speaking up to one hundred languages, many of which are in danger of extinction. Although Russian, which belongs to the large family of Indo-European languages, coexists with the native languages of the different republics (albeit sometimes with certain tensions), it is the only official language of the Federation, making it an indispensable tool in the political and economic relations of the region. It is used by the majority of people in Russia, Belarus, Ukraine, Estonia and Latvia. With nearly 300 million speakers, it is the most widely spoken Slavic language, the fourth most widely spoken language in the world in terms of total speakers and the seventh in terms of native speakers. In fact, the Russian communities that have settled in the rest of the world (millions of people have left the CIS since the opening of borders in the 90’s), particularly in Israel, United States and Europe, are so large that a significant part of the information in circulation today, especially in the field of scientific literature, is published in Russian. And the fact is that, today, access to new technologies and the economy of displacements have allowed younger generations to preserve the language of their elders.